With its earthy nose of stewed fruit compote, cedar and sandalwood, this expression of The Glenrothes is remarkable for its complexity. The palate features caramelised oranges, marmalade, brazil nuts and chocolate-covered macadamia nuts too. The finish is sensationally rich with cloves and some peat coming through. 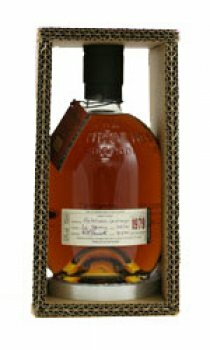 This is a stunning example of a top-quality whisky at the optimum point of maturation. A few drops of water will reveal its inner soul together with the characteristic cooked oranges and spices make for a truly delicious end. Bouquet. Rich, full aroma, ripe red orange. Palate. Full flavour, soft, mellow vanilla.